I visited Taipei 2 years ago, and spent around 6 days there. One thing about Asia cities i like most is how developed their metro (MRT) systems are. I have been using MRTs in Singapore, Kuala Lumpur, Bangkok, New York, LA, London, and some other cities too. I managed to taste Taipei's famous Taipei Metro. 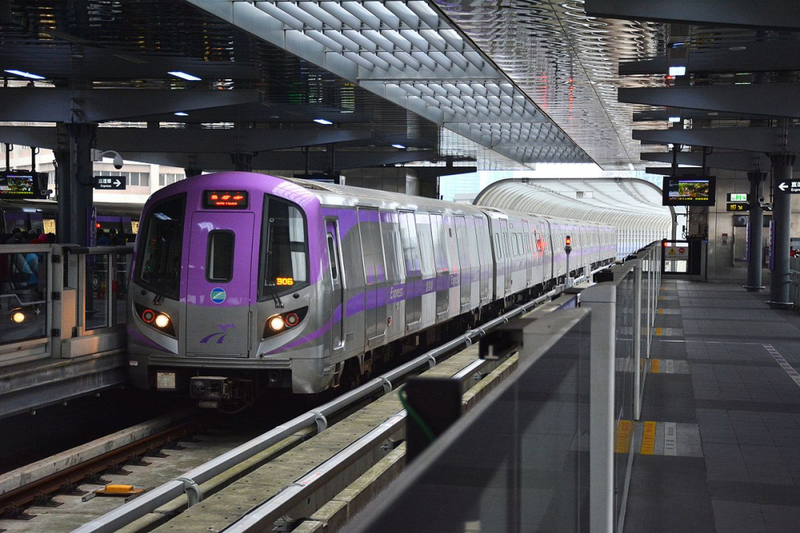 Jakarta, which has just officially launched the operational of i ts MRT system can replicate the success of Taipei Metro. Taipei's insanely efficient, remarkably punctual and shockingly clean subway system is a marvel of mass transit every city should emulate. 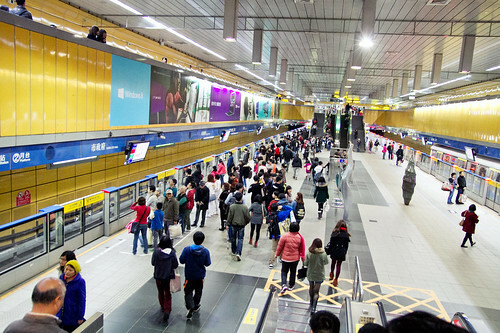 Taipei Rapid Transit System has many lessons to offer on how to run a subway system. 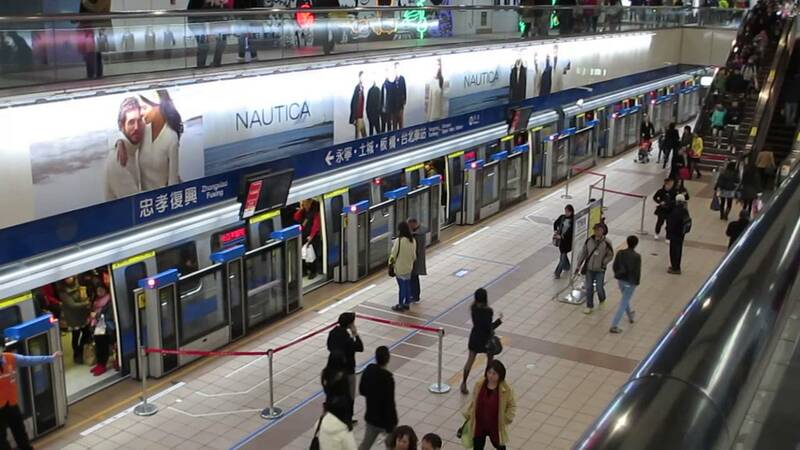 With customer satisfaction topping 94 percent, Taipei Metro may well be the best mass transit system in the world. There are 117 stations to serve a city of 2.6 million people, the Metro is the fastest, most efficient way to get around. Since Taipei Metro has opened 1996, it has cut from three hours to less than one the time it takes to get across town. It carries 2.26 million people a day with less than 30 delays a year— an impressive statistic that makes this subway one of the most reliable in the world. It’s also one of the cleanest. Stations are remarkably tidy, particularly compared to those in America and Europe. There are trash and recycling bins everywhere, and passengers are not only expected to drop their refuse in the right bin, they do so. Even the most crowded stations tend to have very little rubbish on the floor. Riders give the system a score of 95.5 percent for "overall tidiness." Knowing when your train arrives is important when using mass transit, and few things are more frustrating than waiting forever on a platform. Most stations in Taipei have television screens that display real-time arrival information. (They also show commercials, but we figure the subway system, which cost $18 billion to build, has some bills to pay.) The screens in transfer stations also tell you when connecting trains arrive so you can pick up the pace if necessary. Riders gave the system a score of 88.7 percent for providing accurate arrival information. The system also scored in the high 80s for its ticket machines that are easy to use. Taipei ditched tickets in favor of tokens — the opposite of what New York has done — embedded with a microchip that records the passenger’s destination. Riders scan their tokens over the turnstile reader when entering the station, then drop it through a slot in the exit gate when leaving. Taipei’s MRT has platform screen doors at most stations. These are basically panels that only slide open once the train has arrived and opened its own doors. When the train leaves, the doors close to prevent anyone from falling into the tracks, whether accidentally or intentionally. Lights on top of the gates also flash when trains approach and depart, and a loud warning tone is also played from speakers above. 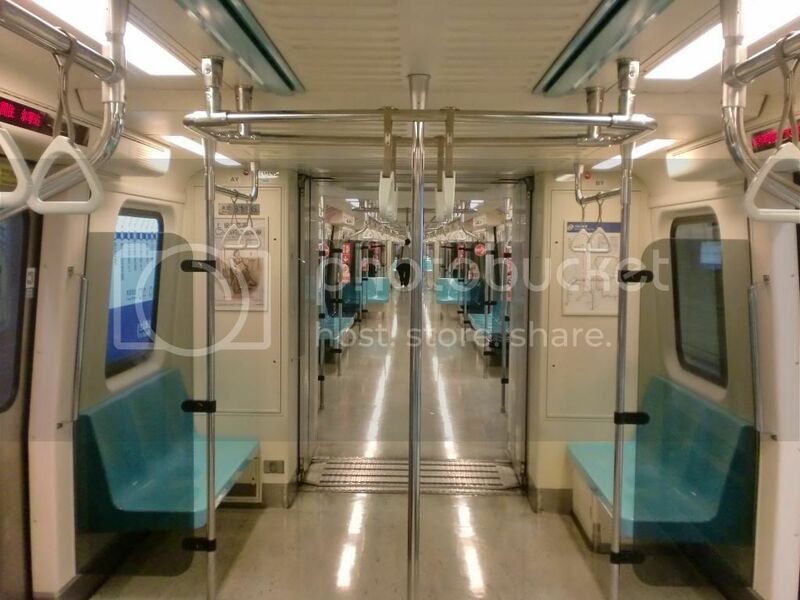 Train doors have four doors on each side instead of the typical two in American systems. This means it's easier and faster to get on and off trains at platforms and in emergency situations as well. Most seats also face toward the aisle so you don't have to climb over someone to get out. This design also allows for wider aisles and thus, more standing room for passengers during peak hours. Sure, you have fewer seats but remember, this is a mass transit system designed to move tens of thousands of people around per day. Would you rather miss a train because it’s too full or get a place to stand on the train? It’s also possible to travel the entire length of the train without having to open a single door. Not only does this make it easier to travel between cars, but it also decreases congestion each car as riders can easily move out of a packed area. Ground to ceiling support beams split into three different poles so there’s more things to hang onto when the train is traveling. There are also never-ending lines of handholds around an inch away from each other hanging from horizontal support beams. Most stations have a little snack bar or two outside the station gates where you can grab a small meal once you leave the station. Very convenient for someone who’s just gotten off of work or a student coming back from school and wants something like a red bean cake to munch on. Some stations are also integrated directly into shopping centers, tourist destinations or restaurant areas. 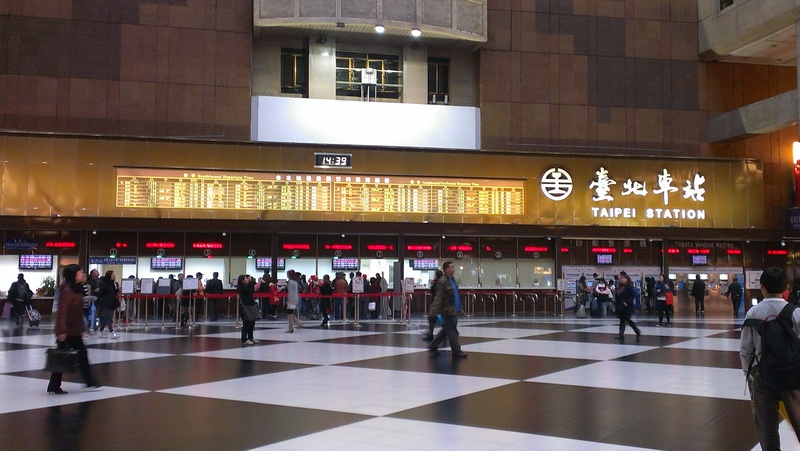 Take Taipei Main Station for example. You can transfer to another line there, get on the high-speed rail, transfer onto bus lines, go shopping in the underground malls or a Shin Kong Mitsukoshi department store across the street, or grab a meal at one of the restaurants on the second floor. Basically, stations aren't simply just something you pass through on your journeys. They're well lit, clean, inviting, have free WiFi and cell service underground. 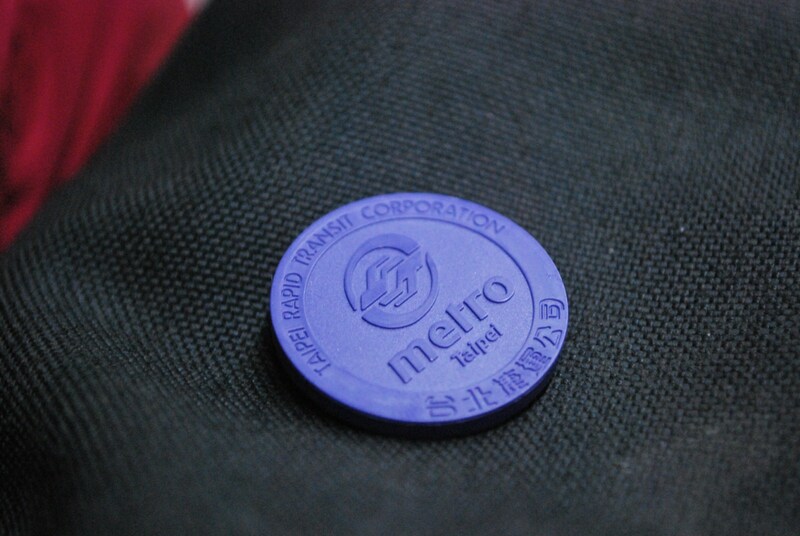 They not only promote the Metro system itself but also the community around it. The stations and systems as a whole are also very friendly for non-Mandarin speakers. All signs are in Traditional Chinese, of course, but also have English directly underneath. And there’s so many signs everywhere that clearly direct you towards exits, restrooms and other parts of the station that it’s really hard to get lost. Each station entrance is also numbered, which makes it easier to identify which ones to use when you’re entering and exiting the station. And there are display boards that display when trains are entering and leaving the station outside the station gates so you know if you have to scramble for your train or not. We know that Singapore MRT is very efficient too. But, in May 2016, the Singapore Transport Minister, Khaw Boon Wan, said that his country’s rail operators, SBS Transit and SMRT, should emulate the example of the Taipei MRT system. Speaking at a rail engineering forum, he cited the Taipei MRT’s timely maintenance and replacement of assets, as well as its fast response to rail network problems. Khaw said the Singapore Land Transport Authority (LTA) is working with the TRTC to attach staff from SBS and SMRT to its metro workshops, so they can learn from its asset maintenance practices and engineering improvements.